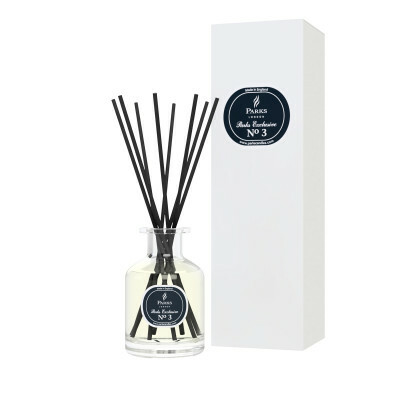 Transform your home with the citrus freshness of Sicilian bergamot, harmoniously blended with Moroccan rose, with notes of jasmine, rose and myrrh captured in the finest home perfume diffuser. 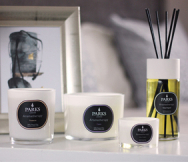 We carefully select all natural scents for our diffusers, which combine to create a unique scent that not only smells aromatic, but influences the ambiance and energy within your home. Each sophisticated scent is chosen for its unique aroma and intoxicating influence on the mind and body. Bergamot’s citrus notes are beneficial in aromatherapy as an antidepressant and stimulant. Bergamot scent creates a feeling of joyful energy. The scent of orange blossom is known for its transformational effects on the mind, body and spirit, and allows people to feel more connected with their surroundings. Delicate and fragrant rose scents are said to help emotionally during times of stress, and can be beneficial for those who struggle to sleep. Jasmine’s delicate floral fragrance is associated with romance and love, and jasmine scents are believed to have an antidepressant effect, thanks to the pleasing and uplifting aroma. The woody, earthy scent of myrrh has many beneficial properties when used in aromatherapy. Myrrh is known for its spiritual, meditative properties, as it helps to rebalance emotions and relax the mind.